We demonstrated specific features of oxidative damage to mitochondrial translation products in animals were revealed after fractionated X-ray exposure in low doses. 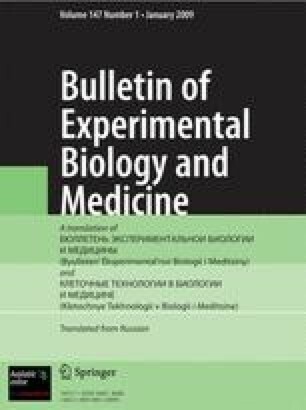 Differences were found in carbonylation and oxidation of SH groups in irradiated rats and irradiated tumor-bearing animals. Our results indicate that preliminary fractionated X-ray exposure determines oxidative damage to these mitochondrial proteins only at the initial stage of the study, while in the follow-up period major role is played the by tumor development.